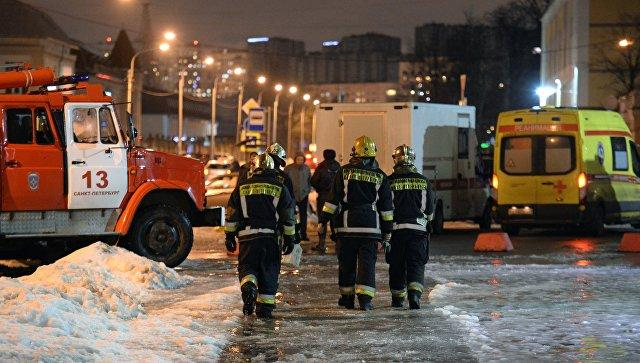 According to Russia's Ministry of Emergency Situations, the fire occurred in the underground parking of a residential building on Leningradskoye Highway in northwestern Moscow, AzVision.az reported citing Sputnik. Several subterranean garages were in flames; 19 firetrucks and 50 firefighters are battling the blaze, according to Moscow's Ministry of Emergency Situations headquarters. Firefighters have contained the blaze within an underground parking lot, the press service of the Moscow branch of Russia's Ministry of Emergency Situations reported. Over 300 people have been evacuated from residential buildings due to a fire, the ministry's press service said. The size of the blaze is estimated to be around 500 sq.m. Earlier in the day, a fire broke out at an apartment building in Moscow, claiming two lives; four others were rescued from the building by firefighters.